Size: approx. 5 mm. Photo: 07/13/15, 10 pm. 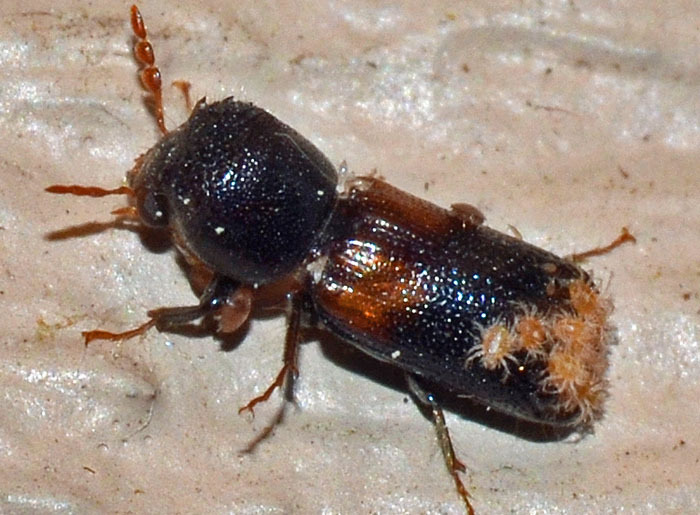 A horned powder-post beetle with the impressive name Xylobiops basilaris. Its larvae feed in sapwood (the living, outermost portion of a woody stem or branch), whereas the adults often bore into healthy twigs for food and shelter. This specimen obviously has a bit of a parasite problem.